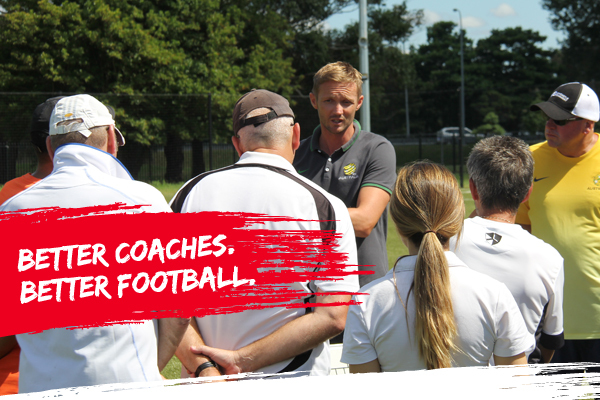 Football South Coast is conducting a FREE Grassroots Coaching course this Saturday, 17 March (9am to 11.30am) at Gibson Park. There will also be a Game Training coaching course at Ocean Park, Woonona on 24 and 25 March. To do either course, it is important to register via the links below as numbers are limited. This free course is fully practical and encourages the coach to develop practices that are based on FUN. The emphasis is on natural development i.e. learning by PLAYING football. No coaching but organising FUN football exercises is the key to helping players build a love for the game. Another highlight of the course is that the coaches are exposed to basic rules of the game as well as tips and hints on building a football culture in a completely practical setting. This is a particularly good course for anyone coaching Graded Junior teams, Under 12s to Under 18s. In the Game Training Phase the coach’s aim will be the development of tactical awareness, perception and decision making through a game related approach to training. The course is conducted over 14 hours, is fully practical and provides the coach with training sessions designed to help the players apply the Functional Game Skills in a team setting using the FFA endorsed ‘4-3-3’ formation.